N&N Supply Company Product Index — N&N Supply Company, Inc.
N&N Stocks various caulks and sealants for many plumbing applications, as well as other needs. Resists cracking, crumbling and chalking. Meets ASTM C920, Specification C719, Class 25. Premium adhesive caulk with MICROBAN® Antimicrobal Product Protection fights the growth of stain and odor-causing bacteria, mold and mildew on the caulk. Specially formulated siliconized latex provides maximum adhesion and flexibility for a watertight seal. Paintable. Easy water clean-up. Low odor. Backed by a Crack-Proof Guarantee. 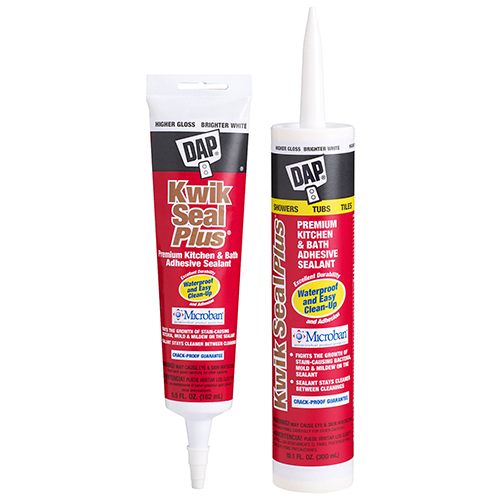 Quickly fill and seal large gaps around vents, pipes, ducts and wires; and at wall-to-floor or ceiling-to-floor joints. For use in Type V residential construction, the foam is bright orange for easy code identification and expands 2-1/2 to 3 times its dispensed size. Just one can of this expanding foam yields up to fifteen large caulk tubes. DYNAGRIP® TUB SURROUND construction adhesive is a premium grade, high-strength adhesive specifically formulated for tub surround installation. This premium adhesive is safe for use on all tub surround materials and dries clear for an ideal finish. DYNAGRIP TUB SURROUND is an instant-grab adhesive that is moisture, steam, water, and heat resistant once fully cured. Single capacitance oval, metal can capacitors are designed for continuous run. Dual capacitance. Round, metal can. SwitchCap™ Dual Multiple Value Capacitor provides a two - easily switchable - capacitors in one simple package. Using easy to set switches, rather than jumper wires, SwitchCap™ is the future of multiple value capacitors. Designed, developed, and patented by AAF, the PerfectPleat HC M8 is a product with form and fit unlike any other pleated filter in the marketplace today. The automated and controlled process AAF has developed for the PerfectPleat HC M8 eliminates inconsistencies and irregularities in order to provide the filtering efficiency you need and expect. HC B-Vent (cut-away)3” to 12” inner and outer pipe curled together as an integral unit. 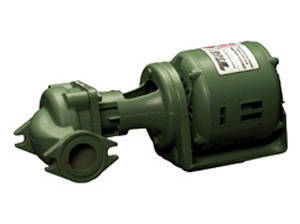 14” - 30” sizes have a snap-lock coupling system. Unique locking band provides 360° turning radius of the pipe and fittings. Locking band slides over tabs easily, locks firmly without twisting. Locking tabs hold pipe securely together, can be easily unlocked. Reinforced ends– curled bead on end of outer pipe for rigidity and strength. Deep Locking Groove assures solid joint and secure lock. The 4RPX pipe is UL-listed for installation in a 2x6 wall. Corrosion-resistant aluminum inner wall for rapid warm-up. Galvanized steel outer pipe for maximum protection. Positive Stop—provides proper alignment and positive fit for mating end of pipe or fitting. • Available in 3" through 8"
• Sleeve is adjustable from 3" to 6"
Circulator pumps are an integral part of any Hydronic system. 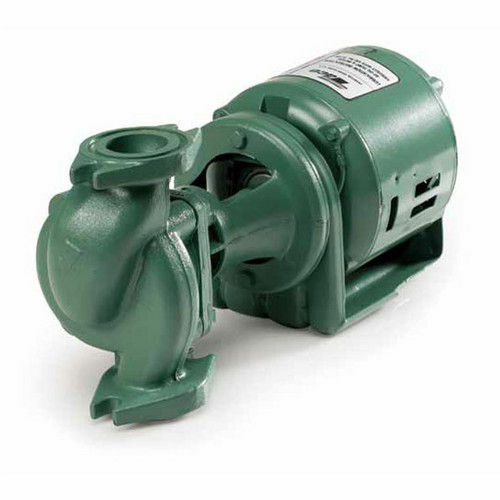 The pumps are used to send water to an area of the hydronic system when it is called for, or to keep the flow of water in the system. 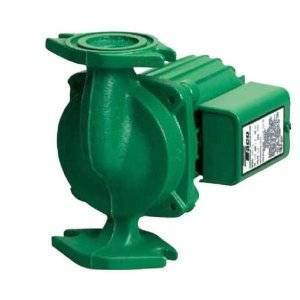 For proper installation the pumps should be purchased with a pair of flanges to connect to the water line. 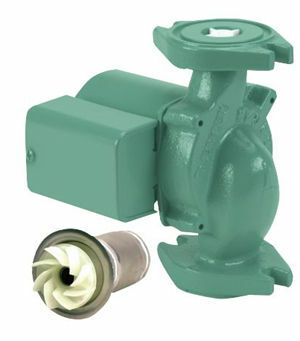 N&N Supply Co. Stocks Taco Pumps pumps. 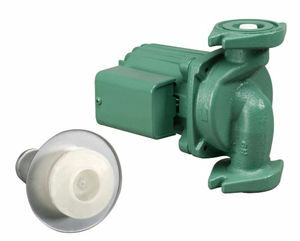 These pumps include the Taco Cast Iron Pumps, the Taco Cast Iron IFC Pumps, and the Taco Bronze Pumps. 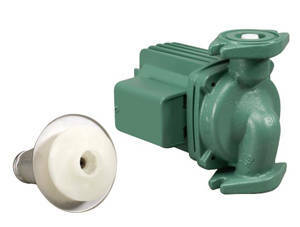 Taco Pumps are ideal for radiant heat systems. The may be used in the primary loop, or for zoning purposes they may be used along with a switching relay and thermostats. 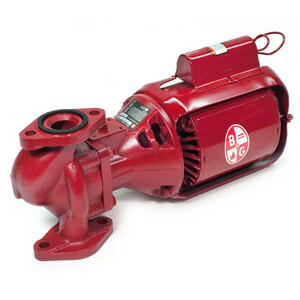 The best selling Taco pump is the Taco 007 Cast Iron Circulator Pump. 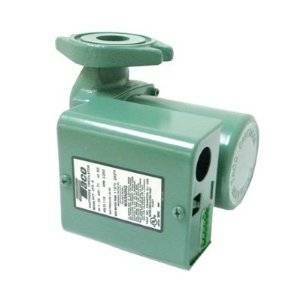 Learn how to install or replace a water supply Push Connect shut-off valve (stop). Learn how to install or replace a BrassCraft Iron Pipe shut off valve (stop).